144 Seiten, 23 x 30 cm , 1158 g.
With three major films—East of Eden, Rebel Without a Cause, and Giant—all released within a year of each other and within months of his tragic death, James Dean captured the world’s imagination and has never let it go. Magnum photographer Dennis Stock met James Dean at the Château Marmont in Hollywood in 1954, and they became fast friends. Stock captured Dean’s essence in a stunning series of images of the actor in the midst of family and friends, as well as alone, sleeping, lost in thought, in the frozen fields of Indiana, and on a rainy day in Manhattan. It was an extraordinary collaboration between two people in full command of their respective talents. In the words of the Life magazine article that accompanied the first publication of these photographs, James Dean was “the most exciting actor to hit Hollywood since Marlon Brando,” but at the time the photographs were taken, he was still poised on the brink of fame. 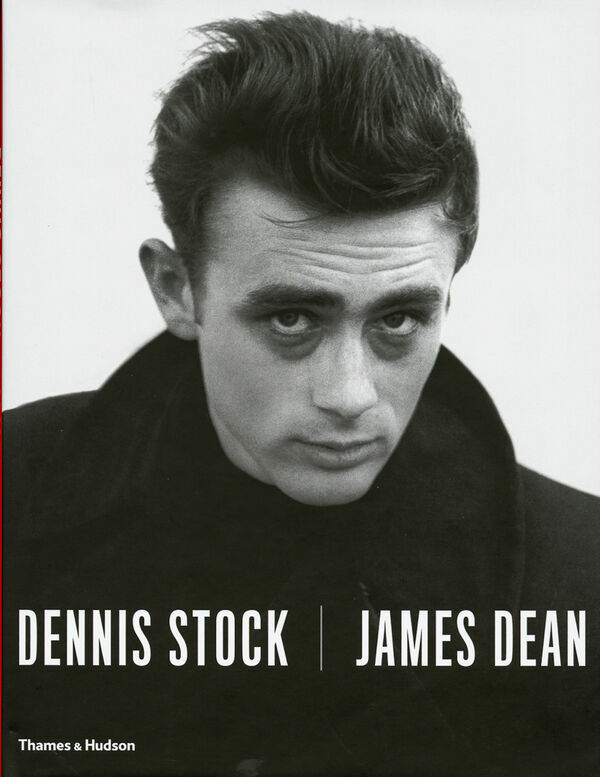 Dennis Stock: James Dean reintroduces these iconic photographs, taken at the dawn and high noon of a brief and brilliant career, with Dennis Stock’s original accompanying text and a later introduction by Joe Hyams.